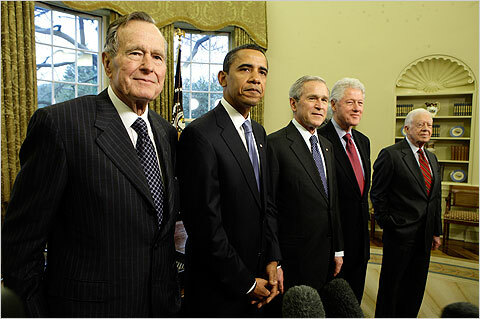 This morning, President Bush invited Pres/Elect Obama and the remaining former Presidents to the White House for a meeting. The last such meeting of former Presidents was back in 1981. This picture was taken by a New York Times photographer. It's an extraordinary image, no matter what your party affiliations are, and is really speaks to the rigidity of our government. I can't imagine very many other nations in the World where you'll see something such as this.